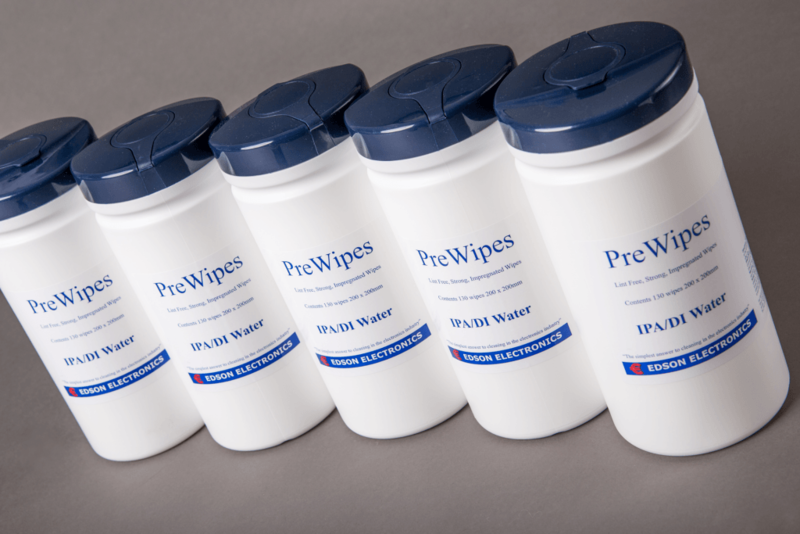 Our best selling lint free wipes are now available in an ESD safe Static Shielding bag. 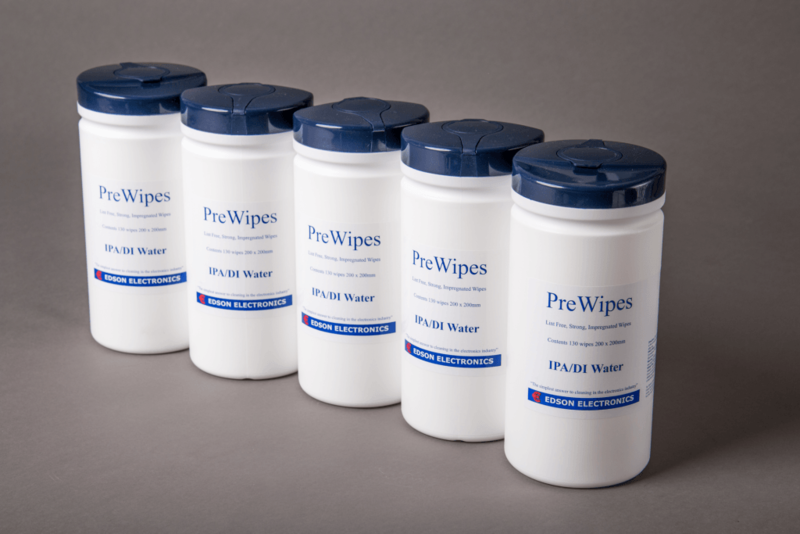 Same quality, same number of wipes but gives ultimate protection in static sensitive areas. 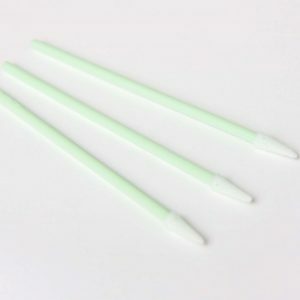 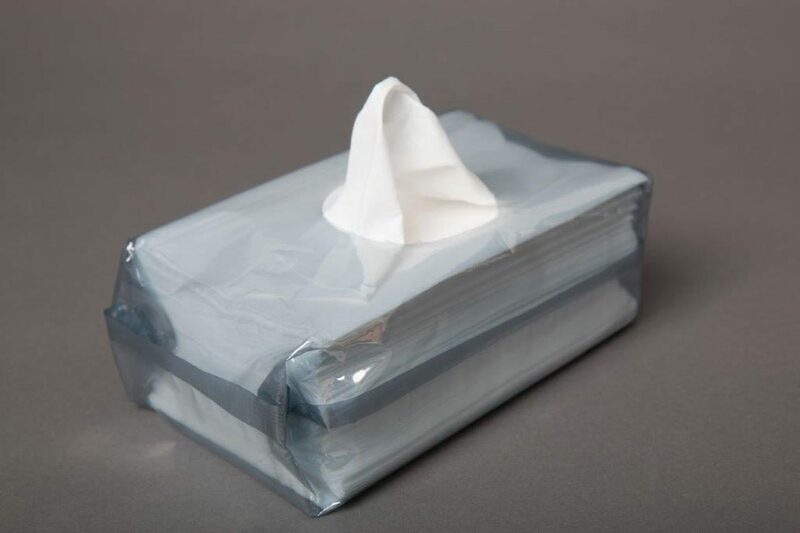 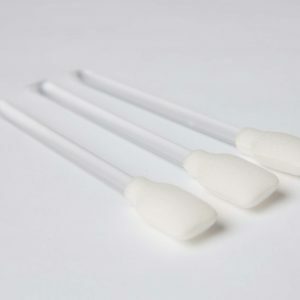 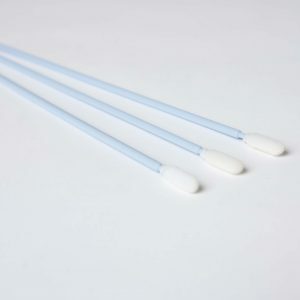 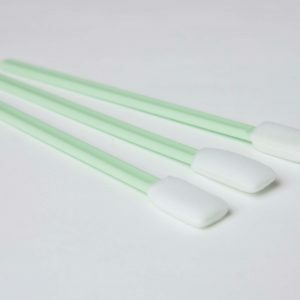 Our high quality 67gsm Polyester Cellulose Wipes are specifically designed to provide the best solution for cleaning within the Electronic and Printing industries. 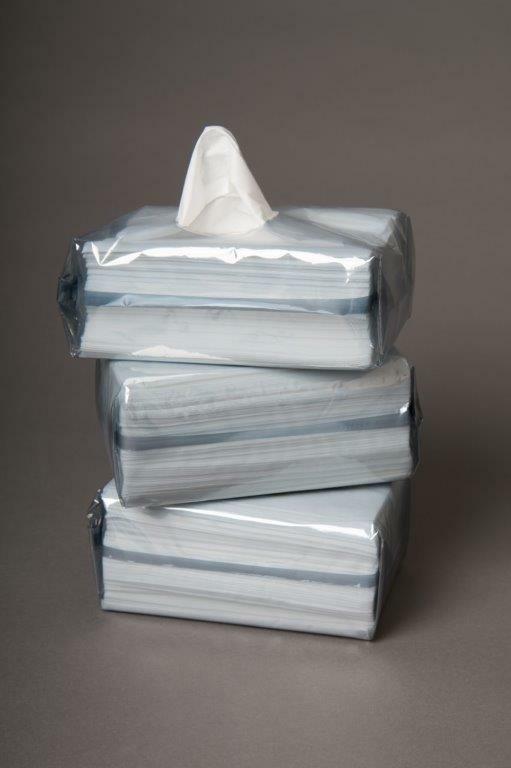 These lint free wipes are C folded and dispensed in a recyclable, non static generative box. 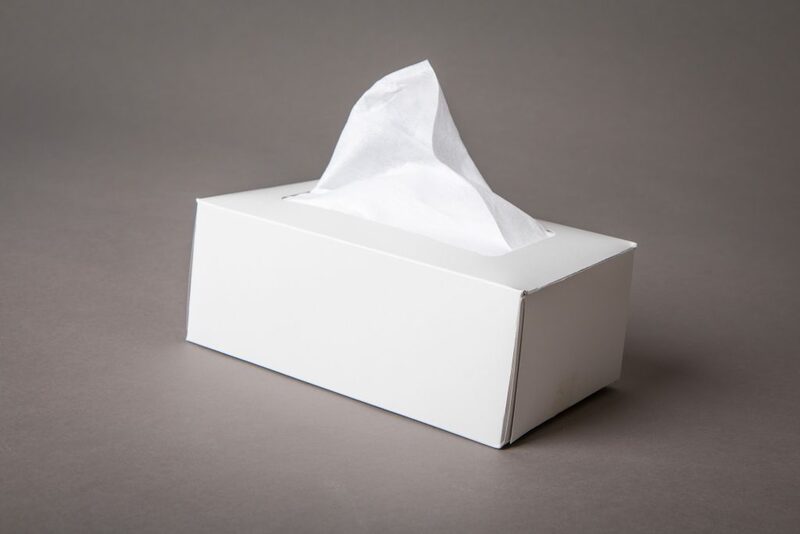 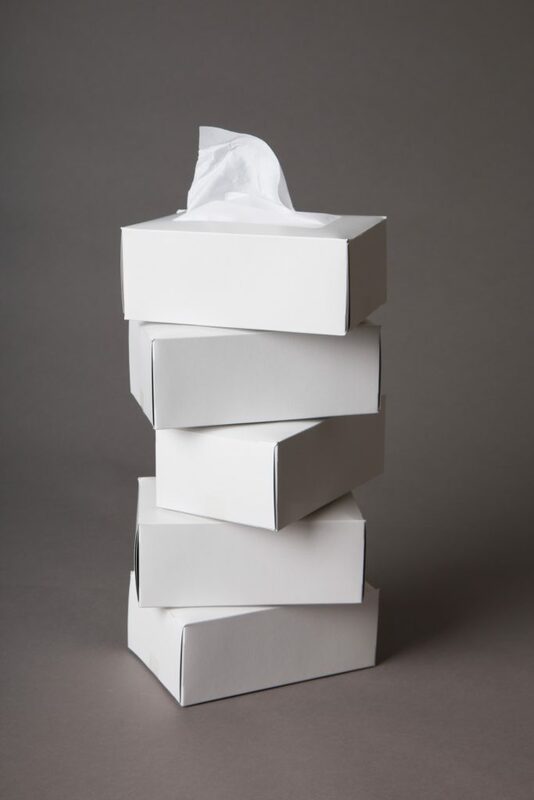 BW150 / PW150 non-woven wipes combine the soft strength of polyester with the high absorbency of cellulose for critical cleaning, drying and handling of sensitive components and equipment. 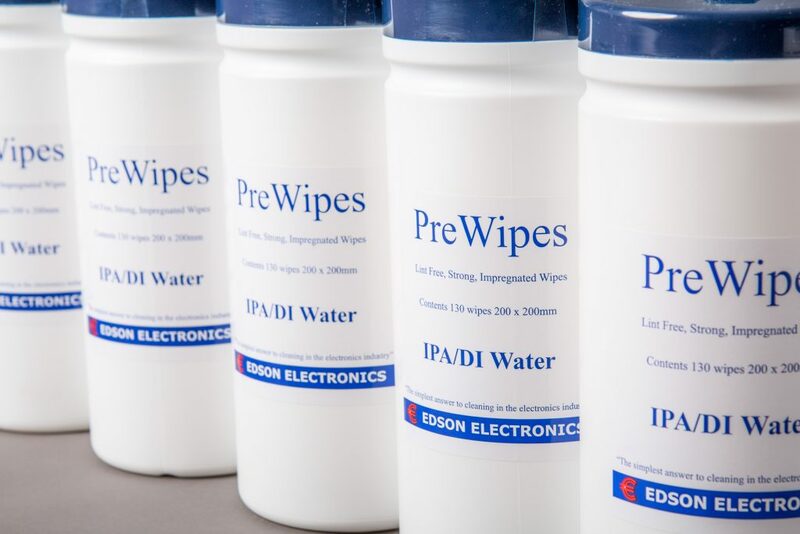 PreWipe IPA/DI Water Tub Wipes are a premium cleaning wipe used extensively within the Electronics and Printing Industries. 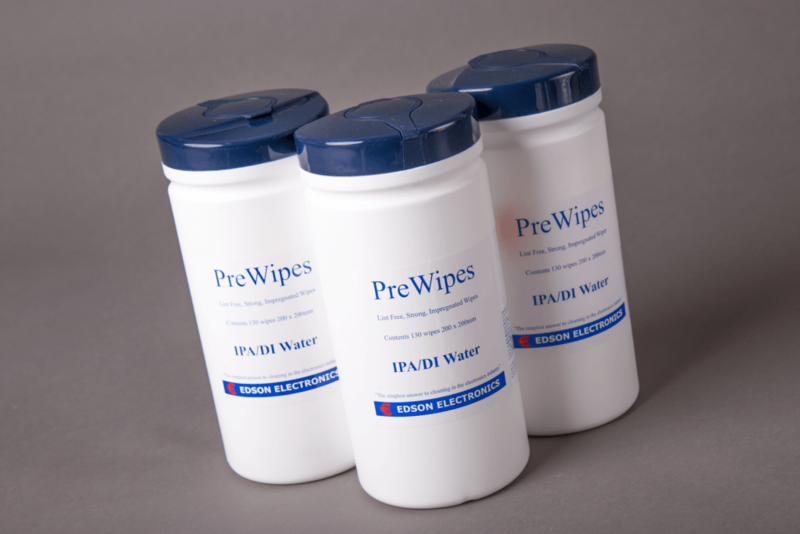 The tubs contain a high quality, low linting material and the cleaner is fast evaporating leaving no residue behind.